Privacy is a common concern, even in the relative seclusion of your backyard or outdoor space. When you look for a way to increase that confidentiality with your Palermo Gazebo, this Gazebo 4-Piece Curtain Set is the perfect match. 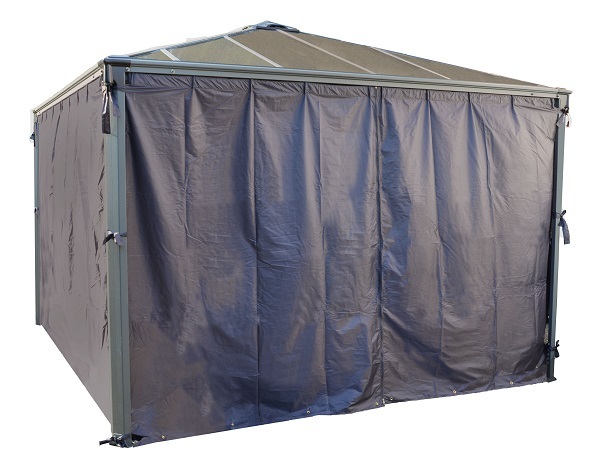 With included tiebacks, these sturdy polyester panels zip together and are waterproof, lightweight, and UV resistant. This kit is easy to install with the required hardware enclosed! 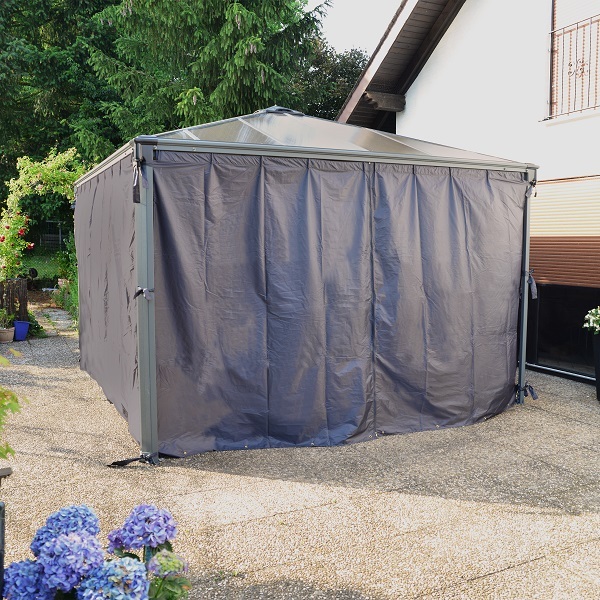 So if you want a little more seclusion in your Palermo Gazebo, this is the perfect accessory for you! * Please Note: These curtains will only fit the Palermo 10x10 and 12x12 gazebos.